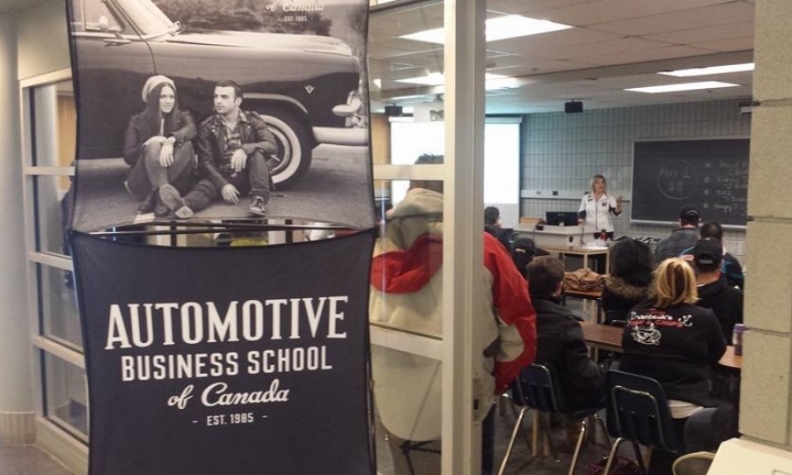 The Automotive Business School of Canada opened in 1985. Georgian College in Barrie, Ont., has received a $1 million investment from the Automotive Business School of Canada Board of Directors to build a state-of-the-art facility to develop and make ideas a realtiy, test concepts and showcase promising change-making research. The money will be invested over the next four years. The investment will be used to equip the third floor of the Advanced Technology, Innovation and Research Centre (ATIRC) to create a place where students can connect with industry leaders through networking, projects and events. A key feature of the space will be a 7.3-metre (24-foot) digital wall that will allow the ABSC and others to stream in industry speakers and thought leaders from all over the world. The ATIRC will also be home to new engineering and environmental sustainability degree-diploma programs in partnership with Lakehead University in Orillia, Ont. “The ABSC Board chose to invest in the Advanced Technology, Innovation and Research Centre (ATIRC) mainly because we fully support Georgian’s determination to advance research and innovation activity in central Ontario,” said Canadian Automobile Dealers Association President John White, who is a member of the ABSC board.